Red Bull insists it has not issued an ultimatum to engine supplier Renault and has denied speculation it is considering ditching the French manufacturer next year. Red Bull has put pressure on Renault this year after the V6 turbo power unit has not met expectations and has proved to be the weak point in the RB10 package. A series of stories in the German press suggested Red Bull was running out of patience with Renault, but team principal Christian Horner says that is not the case. "Renault fully understand the predicament they are in," he said. "[Renault CEO] Carlos Ghosn was in Monte Carlo to look and see for himself. 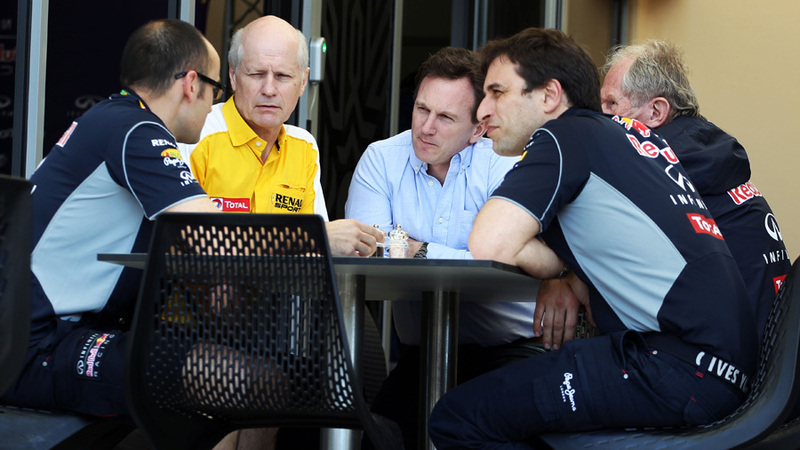 But there are no ultimatums with Renault other than we want to improve as quick as we can. We have enjoyed a great deal of success with them over the years and four world championships have come with Renault engine and we trust in them to sort their issues out." Asked if Red Bull might switch power units in 2015, Horner said: "100% next year we will be powered by a Renault engine." Renault claims it will be out of "recovery mode" for the first time this year at the Canadian Grand Prix, but Horner said the gap to Mercedes is still too big. "Whatever it is, it's not enough, whatever it is we need more of it. The guys and girls in Viry Chatillon in Paris are working tremendously hard behind the scenes at Renault within what they are allowed to change and do. The technology is still very immature so hopefully there will be reasonable steps we can make." The engine hardware has been homologated since the start of the year, with changes only allowed on grounds of reliability, safety and cost saving. However, changes can be made over the winter ahead of the 2015 homologation deadline. "Renault have to start thinking about next year because they have to submit again the elements that they can change within their design. What they learn this year is absolutely relevant to next year, so our focus at the moment is every much on each race as it comes and trying to reduce that gap down to [Mercedes] as much as possible. ""You can refine the integration of that hardware and one of the big things we are seeing this year is that fuel development is a critical element and that started later for us than some of our rivals because Renault were later in their development programme and running on the dyno. We have to catch up in that area as well and Total are doing a great job in finding performance."